The suspect, who allegedly stabbed and shot four people in North Dakota earlier this week, has now been arrested and charged with the killings, authorities have confirmed. The Washburn native suspect, who was identified as Chad Isaak, 44, was taken into custody on Thursday, April 4. 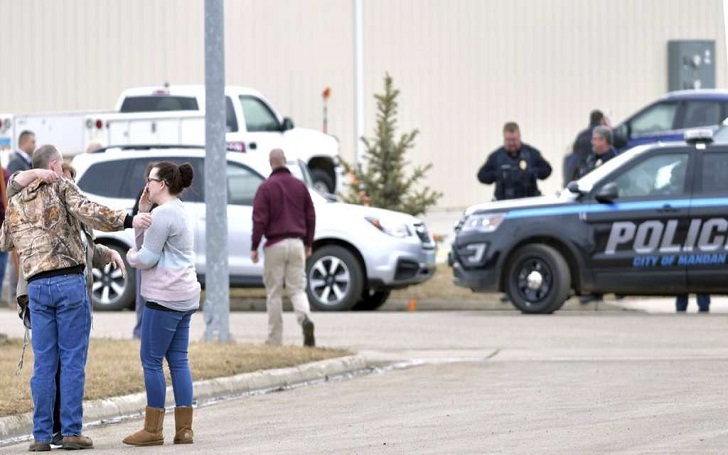 As per the report, he lived in a trailer park managed by the Mandan, North Dakota, the company where the murders occurred on Monday, April 1. Washburn is nearly 35 miles away from Mandan. Mandan Police Chief Jason Ziegler said that surveillance video of a vehicle of interest helped them to find the suspect, who was arrested after a traffic officer him Thursday evening. As previously reported, four people were found shot and stabbed inside RJR Maintenance and Management. A co-owner Robert Fakler and three employees Adam Fuehrer and Lois and Bill Cobb. were among the victims who were found dead inside the family-owned company. Police have yet to find the motive of the killings. According to Heavy.com, Chad has been at the McLean County jail.